Tell Me The Differences Between The Drx9000 And Other Non-surgical Spine Decompression Units? It is not a surprise to hear about the DRX9000 and how it is superior to other devices, but what truly sets apart the DRX9000 from any other spinal decompression table? In order to demonstrate how Axiom Worldwide has managed to sell over 1,700 units worldwide, let’s take the above mentioned rationale a step further. For this example, let’s just say that all non-surgical back decompression devices are said to be equally effective. If this were the case, what would make the DRX9000 any different from the competition? The DRX9000 is made up of components not available to any other manufacturer. Strategic partnerships between important technology groups ensure a two-way flow of design and manufacturing expertise, improve Axiom Worldwide products, and ultimately improve your patient’s treatment outcomes. They demonstrate mutual confidence in the strength of the partnering company’s product offering, and a long-term commitment to jointly bring the best concepts to the marketplace. Nippon Bearing (NB) specialty bearings support the floating lower mattress as it glides back and forth during a lumbar decompression treatment spine decompression treatment on the DRX9000. Today, those bearings are lubricated with X-1R technology Lubricants. Axiom Worldwide and Nippon Bearing worked together to evaluate X1-R technology in the bearings utilized by the DRX9000 by developing a test bench and performing exhaustive engineering validations. This mixture has proved to be rather valuable, as recent test data supplied by Nippon Bearing shows great results. Visit AxiomWorldwide.com to learn more about recent released test data by Nippon Bearing. Danaher-Motion servo-amplifier and servo-motor technology are at the heart of the DRX9000 design. They make the forces utilized for treatment which are coupled through Danaher-Motion’s Micron gearhead. Axiom Worldwide and Danaher’s Motion Micron worked together to evaluate the X1-R technology in the gearhead utilized by the DRX9000 by developing a test bench and carry out exhaustive engineering validations. 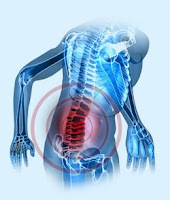 If you are an upper back pain sufferer and would like to learn more about non-surgical spinal decompression therapy, please ask your doctor if the DRX9000 is right for you. In my clinic we combine Spinal decompression with Spineforce 3 Dimensional Rehab, Physical therapy, Pain management if needed, Acupuncture and massage therapy.